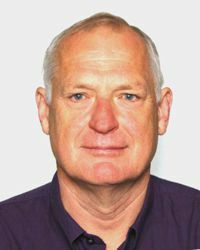 Robert received a Bachelor of Education from the University of Adelaide, South Australia in 1977 followed by a Bachelor Applied Science in Physiotherapy at the University of South Australia in 1981. He then completed a Graduate Diploma in Advanced Manipulative Therapy (Maitland, Honours, 1985) and a Graduate Diploma of Social Science (Health Counselling) University of South Australia in 1993. In 1993 Robert completed a Feldenkrais Training Program in Melbourne and Brisbane Australia. In 1997, he immigrated to the US. Robert completed his Doctorate in Spinal Kinematics in 2002 at the University of South Australia (externally) and the NeuroMuscular Research Center at Boston University. In March 2009 this research was published in the International Medical Science Journal 'Ergonomics' (see above). "A Guide to Body Sense: Volume I Movement Patterns" (see above). Robert has 31 years experience in sports and orthopedic medicine and chronic pain. For ten years Robert collaborated in part time research at the NeuroMuscular Research Center, worked at the Mt Auburn Hospital Cambridge Massachusetts and studied at Harvard & Boston Universities, USA. Robert has worked at Huggins Hospital, Wolfeboro NH for five years and continues his ongoing Engineering studies at the University of New Hampshire.